Sun City Shadow Hills is a resort-style active adult community in CA with homes priced in the high $100's. As one of the most popular states for an active retirement, California offers plenty of resort-style communities where residents on a budget can find their dream homes. These beautiful communities feature amenity-rich clubhouses and numerous outdoor recreations. They typically offer homes in a wide range of sizes and styles, including models priced under $200,000. Del Webb’s Sun City Shadow Hills opened in 2003 in the Coachella Valley’s popular Palm Springs area. Resident golfers particularly love the community’s 18-hole championship golf course, 18-hole par-3 course and 18-hole putting green. Beyond golf, the 35,000 square-foot Monticello clubhouse offers an exciting line-up of indoor and outdoor recreations, as well as numerous classes and special-interest clubs. In the heart of the Island Empire area, Four Seasons at Beaumont is a Southern California community with spectacular amenities and affordable homes. This K. Hovnanian development features a 25,000 square-foot clubhouse, a separate Fitness Center and a 10-acre outdoor Sports Complex. Residents enjoy amenities such as hobby and game rooms, an outdoor swimming pool, a computer center, numerous sports courts and outdoor picnic and barbecue areas. Heritage Park offers a prime Northern California location and attractive pricing from the mid $100's. Active adults who prefer Northern California will love Heritage Park’s prime location, just five miles north of Downtown Sacramento. Built between 2003 and 2005, this well-established community features both single-family and attached home designs. Its resort-style amenities are centered around a 25,000 square-foot clubhouse. Here residents will find popular amenities such as indoor and outdoor swimming pools, a state-of-the-art fitness center, hobby and game rooms, sports courts and gardening plots. With an 18-hole championship golf course and two spacious clubhouses, Trilogy at Rio Vista is designed for luxurious living in the San Francisco Bay Area. The community was opened in 1996 and development is still underway. Residents enjoy diverse amenities including a state-of-the-art fitness center, swimming pools, hobby and game rooms, a learning center, a cyber cafe and the Nines American Cuisine Restaurant. Active adults who prefer an open-age community may find their dream home in Terra Lago. 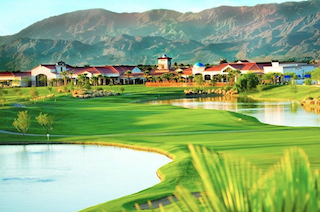 Set in Indio, this beautiful golf community features the 36-hole Golf Club at Terra Lago, a 10,000 square-foot clubhouse and a 20-acre lake with small boat access. The community also offers diverse homes in five distinct neighborhoods, constructed by four builders: Lennar Homes, Ryland Homes, Ashbrook and Woodside. 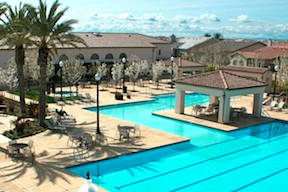 Residents in The Villages Golf & Country Club enjoy a fabulous setting in San Jose’s Evergreen foothills. They also have access to four amenity-rich community clubhouses and numerous outdoor recreations, including an 18-hole championship golf course and a 9-hole par-3 course. Built between 1967 and 2000, this well-established community features diverse homes.